Hand in hand with water borehole drilling services that we specialize in here at Waterseekers, is the purification of this water once we’ve got it out of the ground. Also, there are times when well water has a high lead content, which must be removed. 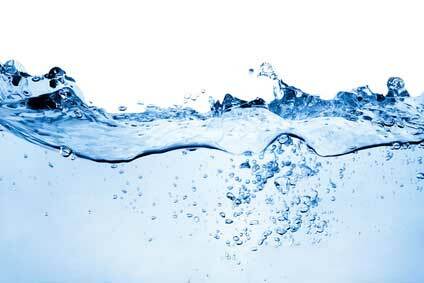 Reverse osmosis was developed as a water treatment method more than 40 years ago. The process first arose as a technique of desalinating seawater. Once the method’s decontaminating capabilities were recognized, reverse osmosis systems started to be commercially produced for home water purification purposes. These systems were installed in homes even as far back as the 1970s. Reverse osmosis systems seemed a viable option to the more costly and energy wasteful distillation units. The reverse osmosis process relies upon a semi-permeable membrane through which pressurized water is forced. Reverse osmosis, simply put, is the opposite of the natural osmosis process of water. Osmosis is the name for the tendency of water to migrate from a weaker saline solution to a stronger saline solution, gradually equalizing the saline composition of each solution when a semi-permeable membrane separates the two solutions. In reverse osmosis, water is forced to move from a stronger saline solution to a weaker solution, again through a semi-permeable membrane. Because molecules of salt are physically larger than water molecules, the membrane blocks the passage of salt particles. The end result is desalinated water on one side of the membrane and a highly concentrated, saline solution of water on the other side. In addition to salt particles, this process will remove a select number of drinking water contaminants, depending upon the physical size of the contaminants. For this reason, reverse osmosis has been touted as an effective drinking water purification method. Reverse osmosis is a valuable water purification process when mineral-free water is the desired end product. Most mineral constituents of water are physically larger than water molecules. Thus, they are trapped by the semi-permeable membrane and removed from drinking water when filtered through a reverse osmosis system. Such minerals include salt, lead, manganese, iron, and calcium. Reverse osmosis will also remove some chemical components of drinking water, including nitrates and the dangerous mind numbing municipal additive – fluoride. Although reverse osmosis does extract several contaminants from drinking water, its removal capabilities are not ideally suited to the challenges of the municipally treated water that the overwhelming majority of people receive. Municipal water contains such contaminants as chlorine and volatile organic chemicals (VOCs). Because these contaminants are physically smaller in size than water, the semi-permeable membrane cannot prohibit them from passing through with the water. Thus, they remain in drinking water. Reverse osmosis, also, by removing alkaline mineral constituents of water, produces acidic water. Acidic water can be dangerous to the body system, causing calcium and other essential minerals to be stripped from bones and teeth in order to neutralize its acidity. Trace elements of minerals were intended to be in water; their removal leaves tasteless, an potentially unhealthy drinking water. To benefit from reverse osmosis water filters, means that we have to make sure that our body is supplemented with the minerals which were stripped out along with all the bad stuff – nitrates, flouride. Reverse osmosis water filters remove fluoride and fluoro-silicic acid at the molecular level. Activated carbon water filters remove pesticides. Air conditioning removes most toxins from the air. Activated carbon air filters remove incinerator, foundry and ceramic factory toxins from the air. Waterseekers Well Drilling Services Ltd.